Actor Billy Baldwin made an appearance at Tuesday evening’s Whittier Fire briefing to thank the thousands of firefighting personnel for all their hard work since the wildfire took hold on July 8. Baldwin, 54, said he was attending his son’s basketball game at Dos Pueblos High School, which has also been serving as the fire’s command center. Since he moved to Montecito ten years ago, he said, he’s become acutely aware that wildfires are Santa Barbara’s most common natural disaster. He added that over the years he’s been given a lot heat for the less-than-realistic special effects in Backdraft, a 1991 drama-thriller directed by Ron Howard and also starring Robert De Niro and Kurt Russell. 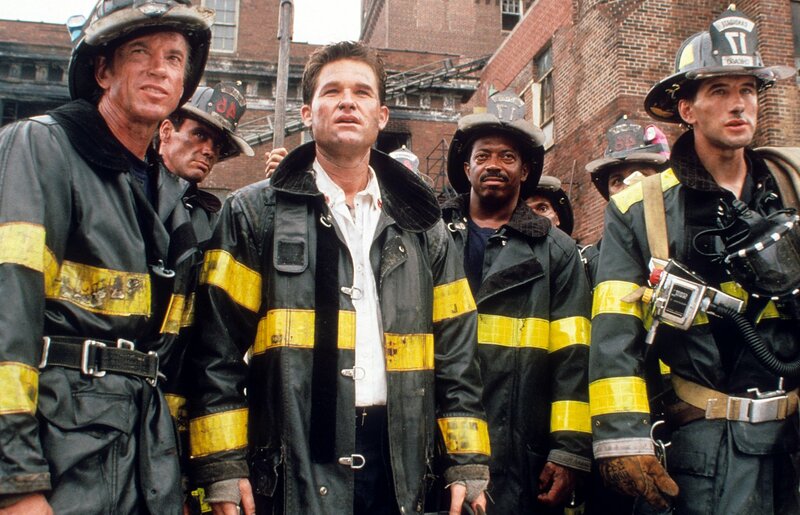 Baldwin said he recently read the script for a Backdraft sequel and that production will get going early next year.